Create impressive documents, calculations and presentations effortlessly. Let your documents speak for themselves: Thanks to its intuitive way of use, its huge feature set and outstanding performance, you’ll get first-class results fast with SoftMaker Office 2018 portable. Thunderbird takes competent care of your e-mails, tasks and appointments. The feature set of this popular program has been extended by SoftMaker with practical features – Thunderbird “powered by SoftMaker” saves you time when you manage e-mail messages and mail folders! 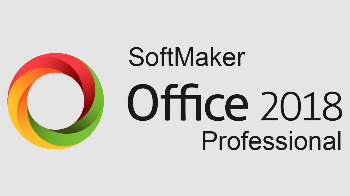 – NEW: SoftMaker Office now uses the Microsoft Office formats DOCX, XLSX and PPTX natively, obviating the need to convert documents for colleagues or business partners. – Can be installed to a USB flash drive so that it can be used on any PC without installation. – NEW: You can use SoftMaker Office either with modern ribbons or with classic menus and toolbars. – NEW: Ribbons are customizable. – NEW: Drag document tabs to the desktop to “undock” them to a separate window, or drag them to the tab bar to convert them to a document tab again.